RealNetworks had come under fire from the Washington State Attorney General’s office for some of its e-commerce practices in the past. Two years after those complaints were made, the two sides have reached an agreement. 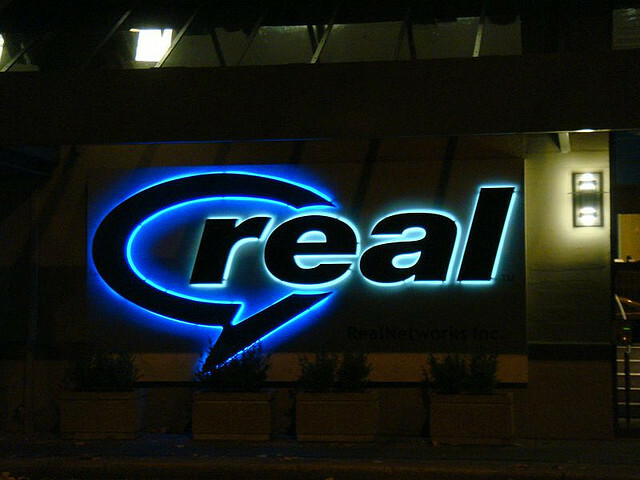 The response from the company admits no “guilt”, but it was clear that consumers were confused about what they were signing up for when downloading the RealPlayer software. – Enhancing RealNetworks customer support guidelines regarding cancellation. I remember downloading the software a few years ago and noticed a few issues with how they presented the information when it came to signing up for its service. I’m glad that I never followed through with it. About two years ago, the Washington State Attorney General’s Office contacted us regarding concerns they had with some of our e-commerce practices. While we disagree with the complaint filed by the Washington Attorney General, we acknowledge that some aspects of RealNetworks’ e-commerce practices were not what our customers expected of us. More importantly, those practices were not up to the high standards we expect of ourselves. The practices at the heart of the issue were discontinued years ago, prior to the commencement of this matter. As part of our agreement with the Washington Attorney General, we have set up a restitution fund for certain U.S. customers who enrolled in RealNetworks subscription products between January 1, 2007 and December 31, 2009. Customers can go to www.realnetworksrestitution.com for more information or call 866-229-7802. Today, we’re announcing additional actions and resources related to our commitment to customer satisfaction. We have created a ‘Customer Bill of Rights’ that spells out how customers can expect to be treated by us. We have launched a new website, www.realnetworksfacts.com, for our customers, employees and stakeholders to understand the situation and all that we’ve done, and are doing, to make things right for our customers. You can find our Bill of Rights there. The trust of our customers is as important to us as the products we deliver. Good business practices are part of the DNA of RealNetworks and we are committed to always putting the customer first. As part of the agreement, RealNetworks will be repaying some of its customers who were subscribers during 2007 and 2009. If you think that you are one of those customers, you can visit the restitution page here.